After the turbulent monetary crisis that hit with astonishing force in 1997, Indonesia is now slowly rising as one of the most recognized countries in Asia in term of economy and investment. With the rise of economy and foreign investment trend in the country, Indonesia has slowly become a recognized name in business media. The names of Indonesia’s richest have started to grace international media such as Forbes, and they become icons of Indonesia’s rising economy trend. While many think that the richest only represent inequality in a developing country, the richest actually also make contributions in many aspects. Through their assets, money and even philanthropic foundations and activities (which are possible because they have the finance), these people contribute in their own ways to the country. Indonesian GDP is viewed as continuously rising during the past 13 years, and the GDP growth has been stable since year 2010, which is between 5.8% and 6.5%. This seems like good progress, since the percentage is only slightly lower compared to China, and higher than the US. However, it must be noted that the actual GDP per capita is much lower compared to the US and China. This puts Indonesia in a rather unfortunate position, especially judging from the fact that the country still needs a lot of investment support to grow its economy and monetary climate. Meanwhile, many business observers and experts also note that 43,000 of the richest people population in Indonesia contribute almost 25% to the country’s GDP count. This number seems big, but 43,000 rich people comprises only around 0.02% of the whole Indonesian population. Therefore, a small number of people generate a disproportionately large proportion of the GDP. While many people view this as a sign of inequality, the richest are by no means selfish. Apparently, the more money someone has, the more motivated they are to contribute. Providing more job opportunities. Unemployment is one of the biggest problems in Indonesia, and the government simply cannot afford to employ so many people. The richest are mostly successful business owners, and by expanding their business empire or achievements, they can give back by providing job opportunities. Providing training and education for local environment and employees. Take a look at Asian Agri; it has its own learning center to educate partner farmers and local, plasma farmers (including independent farmers) about the best method to plant oil palm for industry, expand business, and increase productions. This kind of activity is usually a part of a business’ CSR projects, but it is valuable in providing opportunities to increase skill and knowledge for locals. Help strengthening Indonesia economy position in industry, especially with the growing trend in manufacturing and service industries. Many of the richest are business owners with determination and innovation, and they contribute to Indonesia’s rising trend in manufacturing industry and service industry. 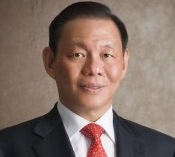 For example, Mochtar Riady of the Lippo Group has continued to reinvent himself and build one of Indonesia’s most global business groups dominant in property, healthcare, education, retailing, media and financial services. Contributing to infrastructure. Some companies, especially those operate in remote areas, often do projects to build infrastructures to support their daily business, such as road, car access, electrical pole, and many more. These infrastructures are of course permanent, so the locals can also use them and enjoy the facilities. Contributing to philanthropy projects. Since many social problems must be solved with money, the richest often spend more money on the person they love. In this case, the richest help people in various ways depend on the business owner and the chosen issues. For example, through Djarum Foundation, the Hartono brothers are strong supporters of the arts, education and environmental initiatives; through the Tanoto Foundation, the Sukanto Tanoto family support social and educational causes; and through Lippo’s education foundation, 52 schools and two universities, including Indonesia’s leading private university are beneficiaries. Increasing the trend of product marketing in other countries by making innovative products. For example, Indomie instant noodle from Indofood food manufacturer is a highly popular product not only in Indonesia, but also in other countries in Asia, Europe, America and others. Even until now, it is still one of the best selling consumer goods in Indonesia and many countries that consume instant noodle the most, and definitely contributes to the income. The richest may contribute to social inequality, but they also not stop to do philanthropy, an activity that needs the right amount of money since money is the one that lubricates everything. Plus, Indonesian factories and manufacturers often hire locals as their employees, reducing social grudge among locals. 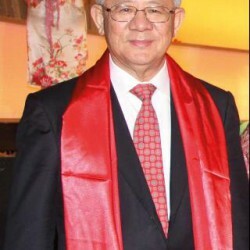 Eka Tjipta Widjaja founded Sinar Mars Group and the Eka Tjipta Foundation, which focuses on environmental conservation and education. 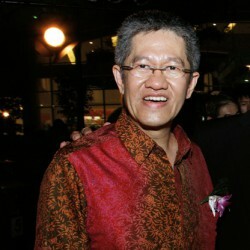 Chairul Tanjung is the founder of CT Corp and CT Foundation, which helps fund education for children from disadvantaged families. 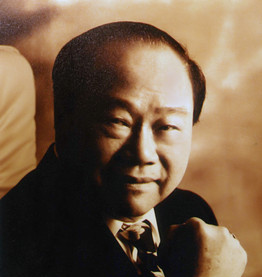 Sukanto Tanoto is the founder of Royal Golden Eagle (RGE) and the Tanoto Foundation, which focuses on poverty alleviation. 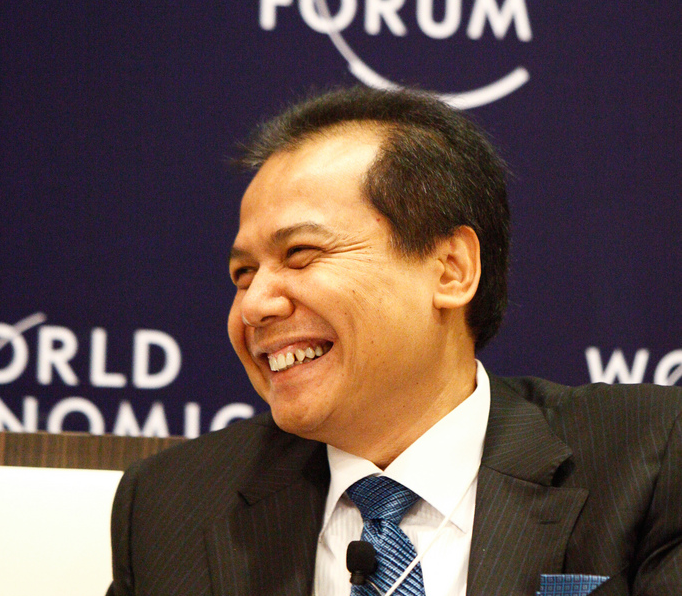 Dato Sri Tahir is the founder of the Mayapada Group and the Tahir Foundation, and the first Indonesian to sign the Giving Pledge.